To be a good debater, you must be able to argue both sides—or many sides—of an argument in an equally convincing fashion. This has long been how students are trained in discourse. 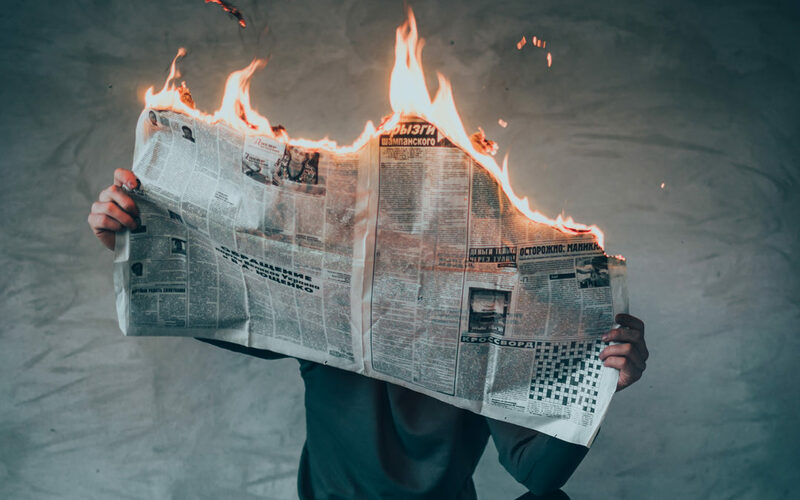 Living in a time when anyone with an Internet connection can become a news source, and such news sources are given the validity of journalistic institutions, it’s not only the art of debate that’s being sacrificed. The very concept of truth is being put to the test. Chris Young is a professor in the Rutgers Business School and co-founder of Proof, a blockchain solution whose stated goal is to “secure access to truthful content in text, video and photographic form.” During our talk we discuss media ethics, the tokenization of truth, and why this platform is a sort of combination of Snopes, Wikipedia, and a flourishing marketplace. As we approach what many are considering the most important election in modern American history, false information is rampant. It’s one thing to have political views; it’s quite another to blatantly accept lies as truth. A democracy cannot withstand the storm of purposefully misleading narratives being pronounced in the public square. Organizations like Proof are needed as we navigate this strange and dangerous terrain.